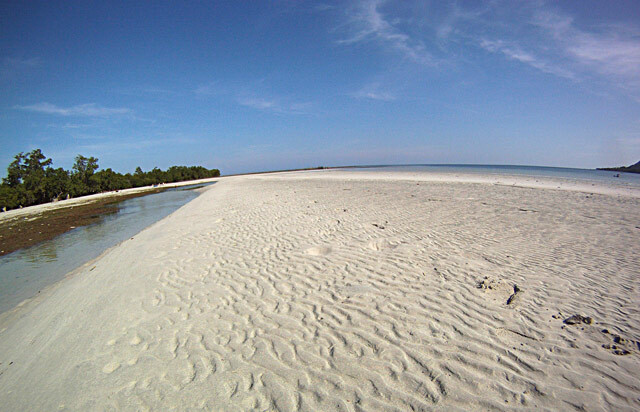 In the entire Philippines, otters exist only in Palawan. They are an environmental indicator species. 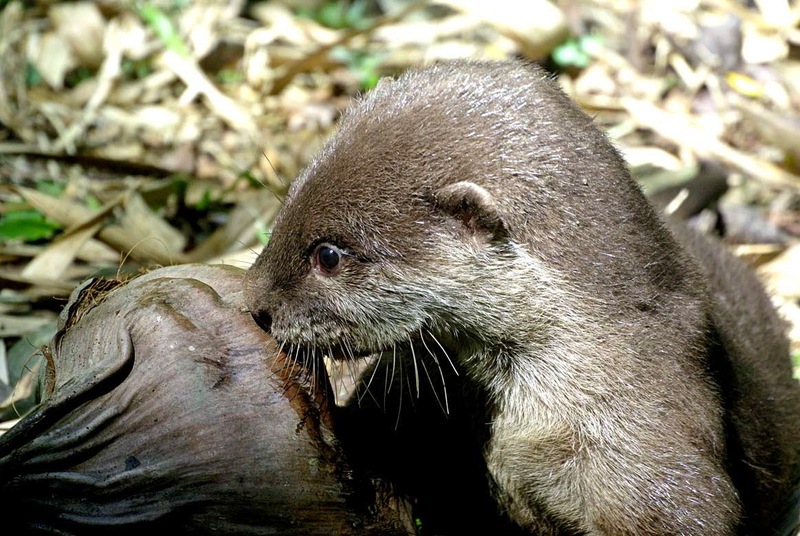 Asian small clawed otters mate for life. 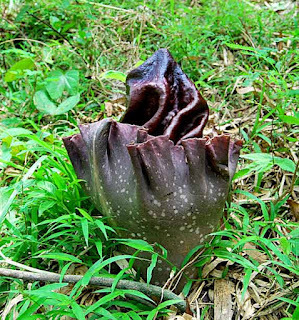 The female has 2 litters per year. Each subsequent liter is raised by the older siblings and taught the calls and rituals. The offspring do not find their own mates or disperse as a clan until one of the parents dies. They are always with the parents until that happens. They have about 14 different calls to each other for communication. They have a common toilet the family will use. 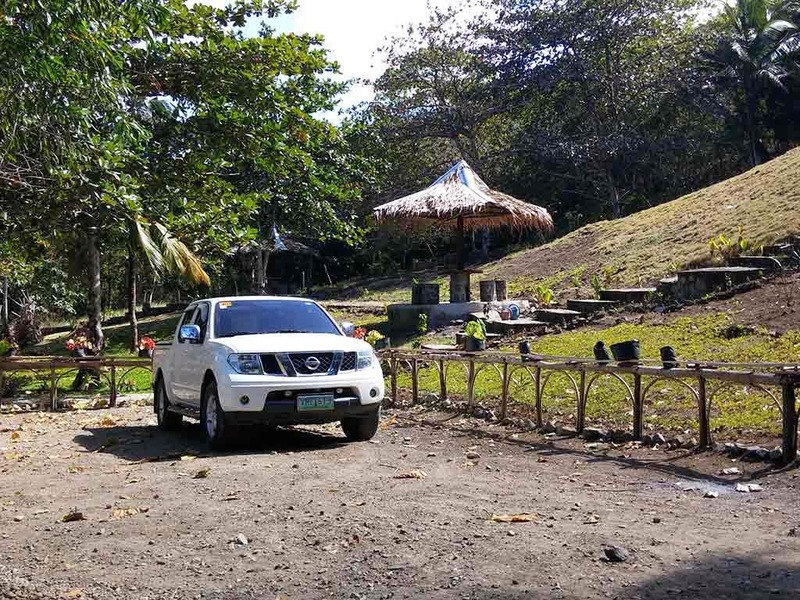 They use their excrement called spraint to mark their territories. 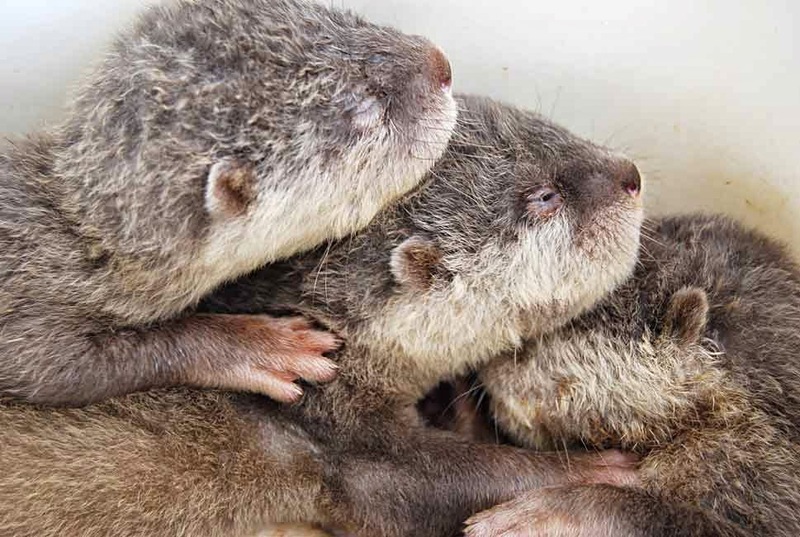 The otters never spraint when we take them to new places. They will wait until we get back home and they will spraint by their enclosure and if to mark it again as theirs. They need a lot of attention from each other and are constantly touching, rubbing rolling and sleeping all bundled up together, unless it's hot...then they lie on their backs arms and legs all akimbo! 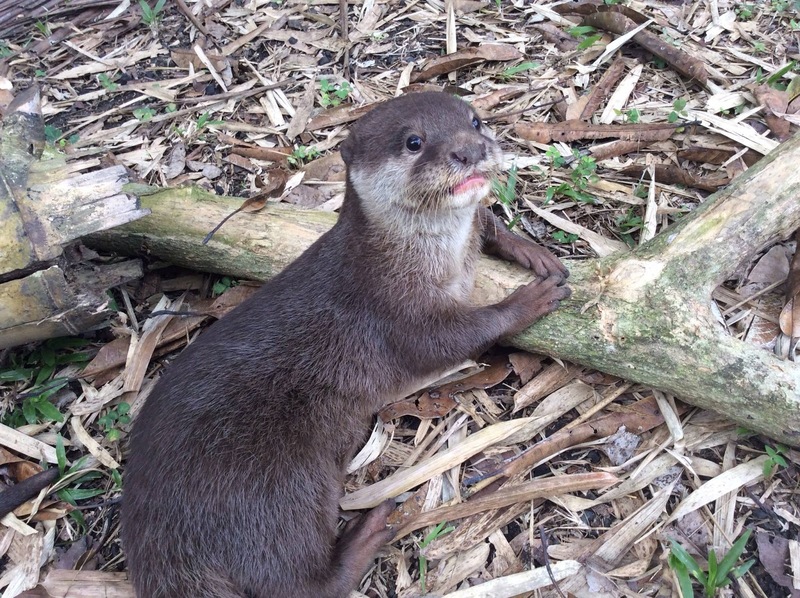 Asian small clawed otters are considered an indicator species for the environment. They are vulnerable to illegal wildlife trade as other Asian countries allow them as pets, for their soft pelts, for bush meat as well. 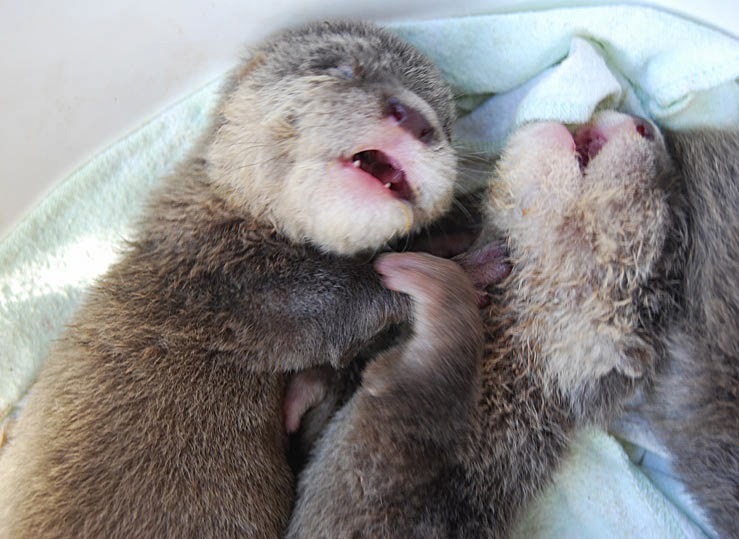 We have raised these otters since they were just approximately 2 1/2 weeks old in October of 2013. Their eyes and ears still closed and just a little bigger than an iPhone. They are totally defenseless; born with eyes and ears closed. We have successfully raised them now to 5 1/2 months old and acclimating them to the mangroves and rivers they came from. pups to save. How could I turn them away? I had to feed them every 2 hours for over 2 hours. Sleep was elusive then. I did get help after I mastered the feeding process and could pass on the info to our handy, dandy assistant and jack of all trades, Jhun. I think after about a month they got their first little teeth. 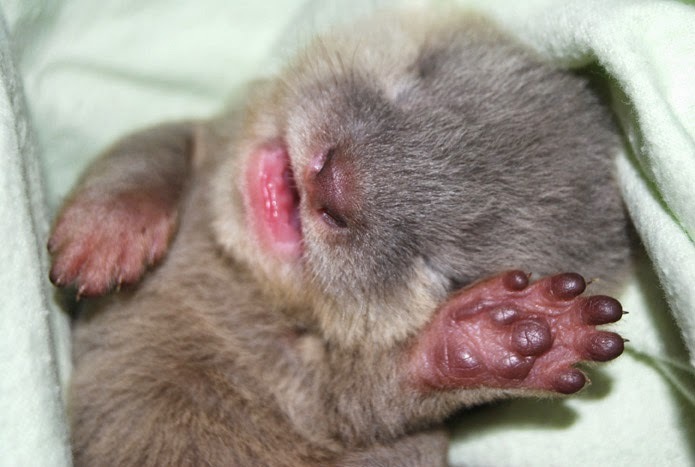 But they did nothing but sleep until their eyes began to open at around 2 months. They were always touching each other or stacking up on top of one another. Actually at 5 1/2 months old when they sleep, they still cuddle and huddle together. 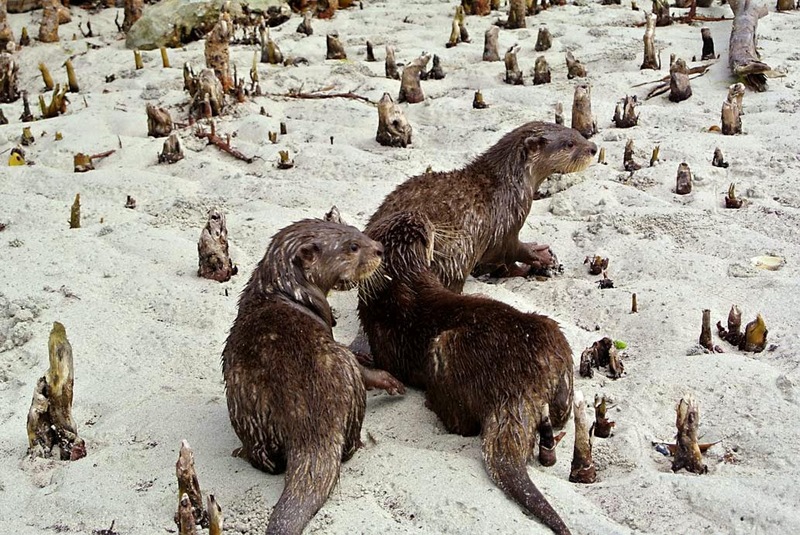 These are the otter pups today March 16, 2014 out on a foraging trip to a mangrove to find fresh live crabs in the many holes in the sand and corals rocks. 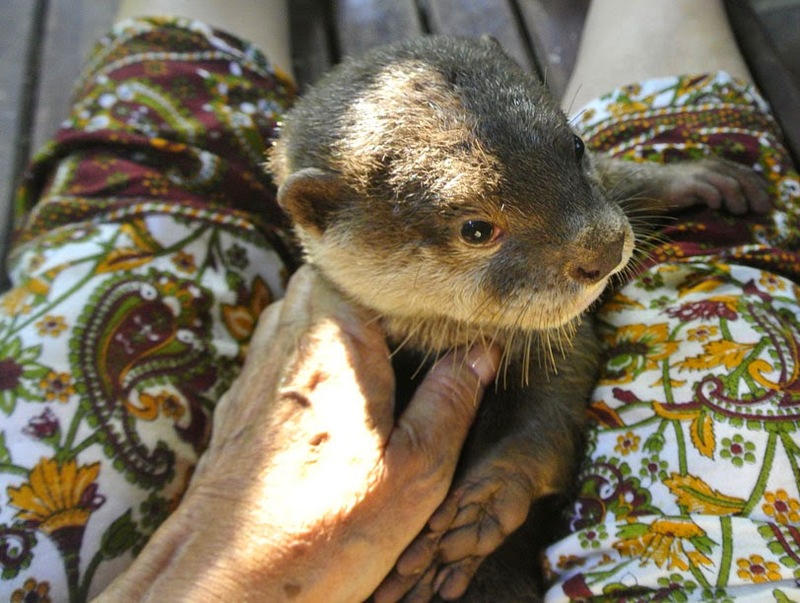 It is illegal to keep otters as a pet, as with all wild life here. Please do not encourage people you meet to keep them as pets. Their proper diets get expensive and they often die in captivity from improper food after only a year from kidney failure. Their systems are meant for the crabs, frogs and other such things and not any sort of cooked human food. 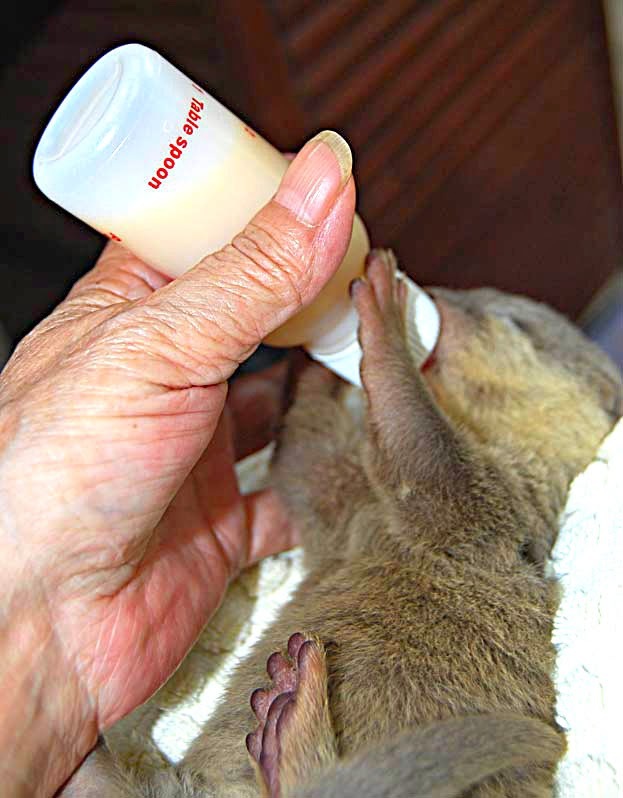 When the otters were under 2 1/2 months old, the low lactose puppy milk from the local pet doctor cost 3,000PHP per month! Plus the cream and the probiotic pills, about 100.00 USD per month to feed them! At 5 1/2 months old they now, consume almost 2 kilos of fish per day! We take them to mangroves to hunt for crabs to supplement the fish.